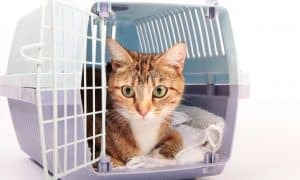 More and more cat parents will are traveling and bringing their kitties with them! 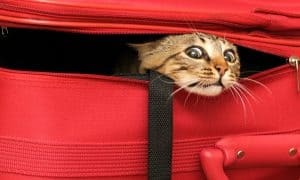 As much as we despise referring to our precious pets as luggage, if they’re small enough to fit into a carrier under the seat, most airlines will allow them to ride in the cabin with you when you fly. 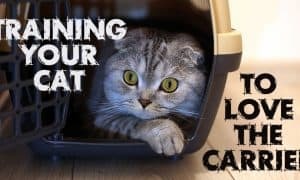 So, Catington Post went in search of a carrier that fit our criteria. It had to be affordable, meet airline requirements, and it had to be safe. We found one that exceeded our expectations – the Curvations underseat traveler from Petmate. The Petmate carrier is constructed of a very sturdy molded foam material, making it extremely lightweight but still durable. We love this because who needs to be carrying around unnecessary extra weight at the airport?! 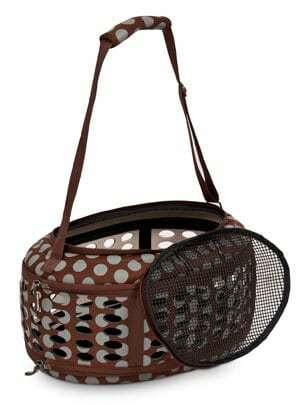 When not in use, this carrier will fold up to only 3″ thick for storage! The carrier includes a removable, washable padded insert, adjustable shoulder strap, safety clasps on the top entry, and when not in use, the entire carrier will fold up to only 3 inches thick! The Petmate underseat traveler sells for $45 through Amazon.